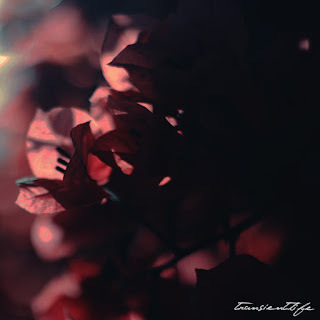 This is a review of another recording from Sebastian Crugley which shows the music going into more of a depressive post black metal direction and the ep was self released in 2017 and called "Transient Life". A very heavy and depressive sound starts off the album along with some melodic post metal style guitar leads while suicidal black metal screams can also be heard in the background as well as the programmed drum beats sticking to more of a mid tempo direction. Tragic sounding keyboards are also used quite a bit throughout the recording while tortured spoken word parts can also be heard briefly along with a brief use of children music samples and on the second track the music goes into more of an ambient black metal direction but also keeping the depressive elements. On this recording Sebastian Crugely takes depressive black metal, post rock and ambient and mixes them together to create a sound of his own, the production sounds very dark a dn raw while the lyrics cover dark and depressive themes along with a concept. In my opinion this is another great sounding recording from Sebastian Crugely and if you are a fan of ambient and depressive post black metal, you should check out this ep. RECOMMENDED TRACK "Infantile Agony". 8 out of 10.